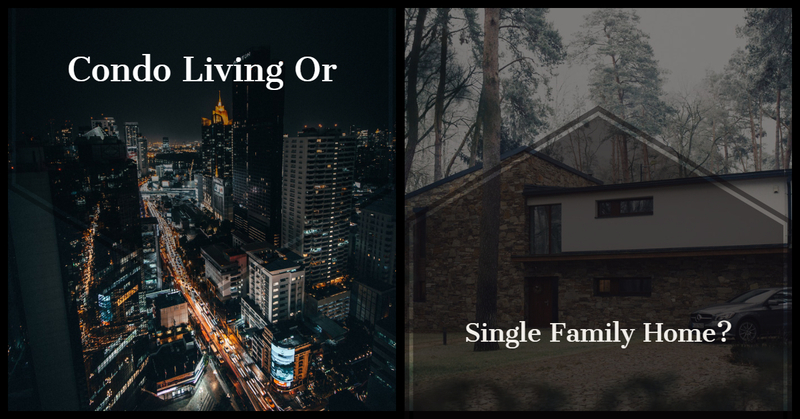 Condo Living Or Single Family Home? Is Single Family Home Ownership As Appealing as Condo Living? It's getting harder and harder to find Boston homes for sale since the area ranks second in the housing industry in the United States. Property investors have a few tricks up their sleeves to drum up more interest in single and multi family home ownership. When you find your homes for sale in Boston sitting longer than you want, then a couple of upgrades can make a massive impact. The key is understanding why some buyers go for a condo so that you can make your houses fit those needs and stand out. Why buyers go for a townhouse instead of a house? There are three big reasons why Boston real estate firms are finding more people interested in condo living over single family homes. Price, maintenance, and close quarters are often more inviting than complete privacy or yard space. Some individuals feel more comfortable with neighbors on either side instead of a need for grassy yards, outdoor gardens, and expansive decks. Many people expect city living to be tight with someone on the other side of the wall. One way to improve appeal is to boast about the amenities near your home for sale. Having little or no yard work to do after a long week of studying or working is very alluring. One of the most significant advantages of living in a condo is the maintenance coverage. These units save the owner time, hassle, and money. To increase the chances that these buyers will consider your property, you can use hardscape to reduce the time spent mowing the lawn. Mulch can be your best friend when you want to minimize yard work because it keeps the weeds down and buyers will not need to spend hours caring for the property. Cutting out some of the grass by adding stone or brick pathways is another way to increase curb appeal with a fresh look that will minimize yard work. Sometimes, construction companies have leftover stones from a project that you can source to add to rock beds, gardens, fire pits, and fountains. These items will save money for you and the new homeowner. When you work with local agents, you can find out information about the neighborhoods surrounding the properties you sell. Using these tidbits, you can market your property to appeal to buyers that want the close-knit, family feeling that condo living provides. By showcasing the nearby events and local services, buyers can connect with the area and feel welcome. Real estate agents can help you find which Boston community's you would fit best and what events are the hottest giving you ideas that you can use for social media posts. When you upgrade your property with practical items that will save the buyer money in the long run, then you will not go wrong. For instance, new windows with dual panes mean heating and cooling costs will be lower for the buyer. Water-reducing faucets and high R-value insulation are two more things that can help your house stand out for money savings. Environmentally friendly products like metal roofs have a long lifespan and use recyclable materials are often worth the investment.The Mass Save Collaborative has opportunities to save money on products like Nest thermometers that will make your appeal to more buyers. You can use this fact to appeal to buyers that are deciding which neighborhood is the best. When you combine the low-maintenance lawn tips with the ability to forego the monthly cost of HOA fees, then buyers are likely to give homes for sale a serious look. Combining these two ideas doubles the savings for first-time homebuyers and those looking for a deal. Whether you have a property in Boston proper or real estate Milton, home searchers will appreciate saving money. When you have a tough time selling a home in Boston, there are a ton of great ways to drum up interest. One way that you can avoid this issue is to ensure that your home is welcoming to a broader audience. By enticing condo lovers to consider a single family home with less time working outdoors and smart upgrades, you may find that interest is not an issue anymore. Environmentally-friendly options always make buyers feel good about buying a home. The goal is to create a space that is sensible and makes the buyer feel an emotional connection.